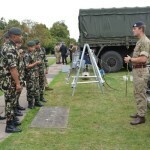 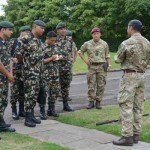 This week members of the Nepalese Army visited 11 Regiment EOD at Longmoor training camp as part of a Short Term Training Team Visit by the Nepalese Army to the UK. 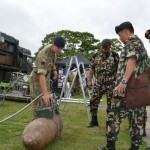 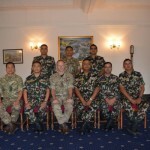 During the visit they met with Colonel Brigade of Gurkhas (Colonel James Robinson) and members of 11 EOD Regt, who demonstrated various elements of their employment to the Nepalese Army officers and soldiers. 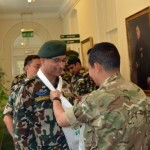 Later in the week the team visited the Headquarters Brigade of Gurkhas at Robertson House, Sandhurst, where they were greeted by members of the staff and given a brief on the current structure of the Brigade of Gurkhas within the British Army by the Deputy Chief of Staff, Major Suryakumar. 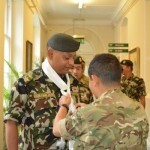 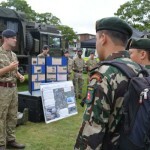 We look forward to hopefully hosting and working with the Nepalese Army sometime in the future.